There is a pretty sure-fire way to identify proposed Government legislation which is badly drafted, unnecessarily draconian and a kneejerk reaction to a perceived problem. And that is when a Government tries to rush new laws through Parliament quickly to avoid them being adequately scrutinized. It should therefore come as no surprise to observers of Australian politics that this is exactly what is happening with the Australian Government’s hugely controversial Telecommunications Legislation Amendment Bill 2018. The bill contains many contentious elements, but the most worrying is the power it hands to law enforcement agencies to demand access to encrypted communications. In other words, it hands Australian authorities the power to demand backdoor access into encrypted online communications services. Even more worrying, the definition of an online communication service is unbelievable vague, meaning that anything from a messaging service, a simple website, and even a VPN could fall foul of the new laws. Who cares what the people think! All proposed legislation in Australia has to be opened up to public consultation. The consultation on this Bill only closed last week. Despite that consultation period being unusually short, no fewer than 15,000 public submissions about the bill were made. It is safe to assume, given the negative public mood about this bill, that the overwhelming majority of them were not positive. But in a massive snub to public opinion, a Federal Coalition party meeting held yesterday, less than a week after this consultation closed, approved the Bill, which means it will now make its way into Australia’s Parliament. By approving the Bill and ignoring public opinion and those who went to the time and effort to respond to the public consultation, Australia’s ruling party are delivering a slap in the face to the Australian people. They are effectively saying is, ‘your views don’t matter, your online privacy is not important, and we know better than you.’ It is the type of arrogant and dismissive approach that usually sees government voted out of office pretty quickly. It is not just the Australian people who are opposed to the draconian new laws. Online security experts and privacy advocates have been lining up to caution about the serious implications this bill could have. As we reported last month, the Electronic Frontier Foundation (EFF) is one of many organisations to have issued warnings as well as drawing comparisons with the UK’s massively overbearing and intrusive Investigatory Powers Act. Yesterday saw a meeting of industry representatives and campaigners to discuss how to move forward. Among the many issues they considered was the complete lack of effective oversight of the new powers included in the bill. There is next to no oversight from either Ministers or the Judiciary included in the bill and as well as this, they are also concerned that the bill could seek to force companies to break the law in other countries in order to be compliant in Australia. If there is one ray of light for Australian internet users, it is that the bill has not made it into law yet. And there are still a few more hurdles for it to cross yet. While it is likely to receive approval in its current form for the Australian House of Representatives (the lower Parliamentary chamber), it is likely to find the passage through the Australian Senate (the upper house) much trickier. Political analysts in Australia predict that the Senate will send the bill to a Senate Committee for scrutiny. If that happens, opponents may have another chance to get their voices heard and it is quite likely that amendments will be proposed which will see the bill sent back to the House of Representatives again. The bill could also be scuppered by the chronic instability that exists in Australian politics at the moment. Its progress has also been delayed last month after former Prime Minister Malcolm Turnbull was ousted and replaced by Scott Morrison. But his position remains far from secure. He is also required to call a general election in Australia no later than May next year. He could choose to do so sooner. If the bill has not made it into law before that election is called, the entire process would have to be restarted by the newly elected Government. Campaigners in Australia do stand a realistic chance of either securing amendments or slowing the process down enough to stop the bill passing in time. Internet users will be hoping they succeed. 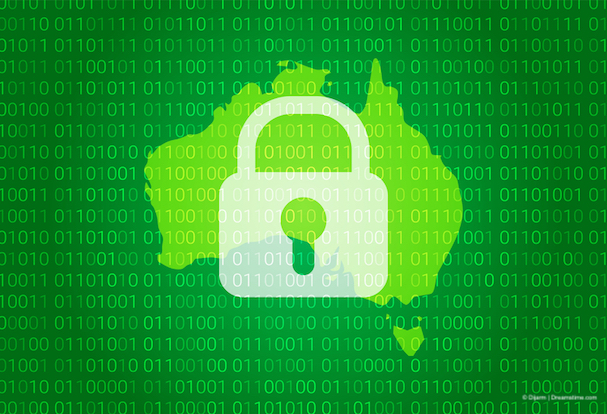 If they don’t, the rising number of Australian’s who are turning to international VPN services like ExpressVPN and IPVanish to protect their online privacy will grow from a steady stream into a raging torrent.